Born in Dublin, Ireland in 1752, William Croghan arrived in Philadelphia at age 16 to live under the patronage of his uncle, Pennsylvania Indian Agent George Croghan, who established him as an apprentice to a New York merchant. He later secured a captaincy for him in the British Army’s 16th Regiment in 1771. At the start of the Revolutionary War in 1775, 23 year old Croghan sold his British commission to join the American Revolution as a captain in the 8th Virgina Regiment, he crossed the icy Delaware River under the command of General George Washington, and was commissioned Major at the conclusion of the grim Valley Forge winter. He served with Aaron Burr, Alexander Hamilton, and James Monroe at the battles of Trenton, Princeton, Brandywine, and Germantown. Shortly after his parole as a prisoner of war in 1781, along with Lt. Col. Jonathan Clark and Lt. Edmund Clark, he witnessed Cornwallis’ surrender. Croghan travelled with the two Clark brothers to their family’s home in Virginia. In 1784, after gaining a surveying certificate from the College of William and Mary, William Croghan and George Rogers Clark were named principal surveyors to the Virginia State Line and moved to Louisville. They were responsible for overseeing the measuring, mapping, and recording of deeds for all Virginia state line bounty lands. They were able to claim land in payment for their surveying services, and as a result, the men acquired ownership of vast tracts. George Rogers Clark’s younger sister, Lucy was born in Virginia in 1765, the second daughter of John and Ann Rogers Clark. In 1785 she and her family made the dangerous journey to the Kentucky Territory after George Rogers Clark convinced their father that the rich Kentucky soil was the future of Virginia. She met William Croghan through his connection with her brothers, and they were married on July 14, 1789, in Louisville. Croghan purchased most of the land that would become Locust Grove the following year and hired hands to begin building. The house was under construction and the land was cleared for farming during the period 1792-1795. After the birth of their first two sons, William and Lucy moved to Locust Grove, where over the years they had six more children. 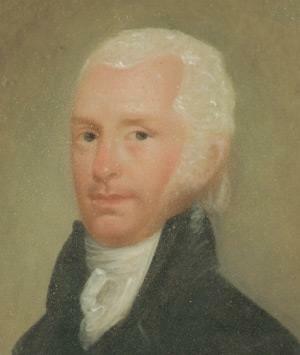 William Croghan died in 1822. Lucy Croghan spent much of the years following her husband’s death living in Washington D.C. with her daughter, Ann Jesup. 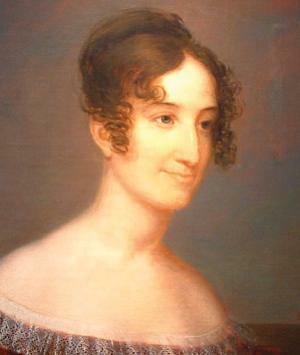 She returned to Locust Grove permanently in 1834 after the death of her daughter Eliza Croghan Hancock, and died four years later. 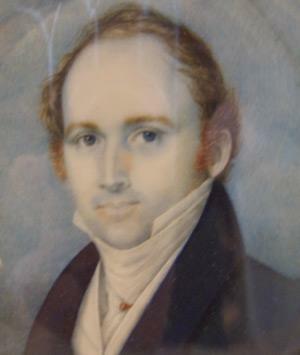 John (1790-1849) With his medical degree from the University of Pennsylvania, he began his practice in Louisville in 1814 with a primary interest in tuberculosis research. He had many business interests beyond medicine; in 1829 he struck Kentucky’s first oil in Cumberland County. He owned Locust Grove from 1834 to his death in 1849. Croghan acquired Mammoth Cave in 1839 theorizing that it might have value as a tuberculosis sanatorium, while also operating it as a tourist attraction. John's 1849 will emancipated the slaves at Locust Grove and Mammoth Cave. George (1791-1849) Following graduation from the College of William and Mary, George enlisted in the Army and was given charge of the garrison at Fort Stephenson, Ohio. 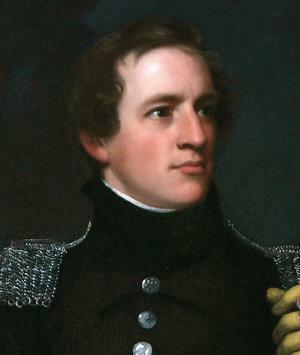 His successful defense of the fort during the War of 1812 made Croghan a national hero. He married Serena Livingston of New York in 1817, and they maintained a plantation near New Orleans while he served as Postmaster there. He had a troubled life with drinking and gambling problems. Continuing in military service, Colonel Croghan fought in the Mexican War with Zachary Taylor and died of cholera in New Orleans. His son and grandson inherited Locust Grove. 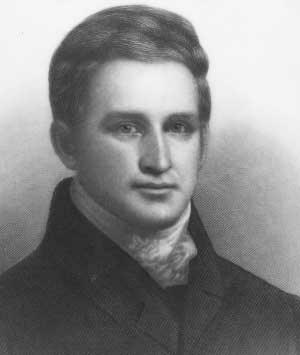 William (1794-1850) William attended Transylvania College and graduated from Litchfield Law School in 1816 before inheriting Locust Grove at his father’s death in 1822. He married Mary Carson O’Hara, a wealthy Pittsburgh heiress in 1823. Following his wife’s death in 1828 at Locust Grove, he sold it to his brother-in-law, George Hancock, and moved to Pittsburgh to administer the vast O’Hara estate, now the location of Schenley Park. Ann (1797-1846) Ann married General Thomas Sidney Jesup, Quartermaster General of the United States Army between 1818 and 1860. Her family lived in Washington City, where Jesup was stationed during most of his long and distinguished military career, traveling often to Locust Grove. 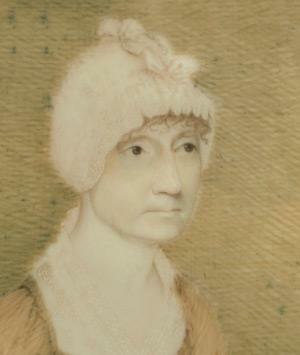 Elizabeth (1801-1833) In 1819 she married George Hancock, son of a Virginia planter and her uncle William Clark’s brother-in-law. They owned Locust Grove from 1828 to 1834. Her husband sold the property to John Croghan upon Eliza’s death during a cholera epidemic. Charles (1802-1832) Twin to Nicholas. Attended St. Thomas College near Springfield, KY. On a trip to Europe seeking a cure for his illness with his physician brother John, Charles died, presumably of tuberculosis, and is buried in Père Lachaise Cemetery in Paris. He may have built a house on property he owned near the Ohio River. Nicholas (1802-1825) Twin to Charles. Nicholas lost an eye while playing on a fallen tree at age 5. He attended Buck Pond Academy in Woodford County, Kentucky, and then St. Thomas College, and finally Transylvania College, but he died, presumably of tuberculosis, at Locust Grove. Edmund (1805-1821) Edmund, always sickly, attended Transylvania College and died young, probably of tuberculosis. Second cousins Ann Rogers and John Clark were married in 1749 and settled on a 400 acre tract on the Virginia frontier in Albemarle County. Their nearest neighbor was Peter Jefferson on his 1400 acre farm, Shadwell. Around 1757 John inherited another farm and moved his family east to Caroline County, VA, near Spotsylvania, and later to Fincastle County, in the extreme west of the colony. Ann and John raised six sons and four daughters. All of their sons except the youngest, William, served as officers in the American Revolution. William Clark distinguished himself during what became known as the Lewis and Clark Expedition.